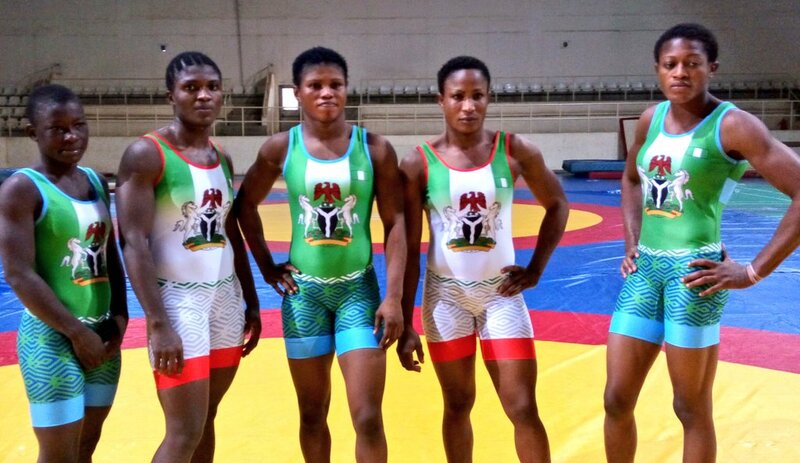 Nigeria grabbed six of the eight gold medals in the women’s event at the 2017 African Wrestling Championships, which ended on Sunday in Marrakech, Morocco. Ogbonna Emmanuel won the country’s only gold in the 70kg category of the men’s freestyle. Commonwealth Games silver medallist Blessing Oborududu (63kg), Odunayo Adekuoroye (55kg), Mercy Genesis (48kg), Aminat Adeniyi (58kg), Dressman Kemasuodei (69kg) and Winnie Gofit (75kg) won gold. In other women’s categories, Bose Samuel (53kg) and Makanjuola Bisola (60kg) won silver each. Soso Tamarau won silver in the men’s 97kg men’s freestyle. Melvin Bibo and Amas Daniel won bronze in the men’s 86kg and 65kg of the men’s freestyle while Ebikewenimo Welson finished fourth in the 57kg. Daniel Igali, the President, Nigeria Wrestling Federation (NWF)said yesterday in a telephone chat that “he is impressed with the day one results”. Igali said that the result by Winnie the 75kg gold medalist had been rated as the “Fantastic result overall”. He added that though the country’s only Greco Roman representative unfortunately didn’t win a medal. “Tochukwu Okeke 75 kg did not win a medal, but put up appreciable effort,” the Olympian said.